This post may contain affiliate links. You can read my affiliate policy right here. Did you know that BoardBooster has a nifty little tool called the Pin Doctor? The Pin Doctor will scan through all of your pins for you and flag “bad” ones with things like broken links, or duplicate images. Pinterest doesn't like these kinds of pins, so it's a great (and easy) way to get rid of pins and clean things up. I wrote all whole post on BoardBooster that you can check out right here, but I highly recommend the Pin Doctor feature. Keywords (or “Pinterest SEO“) are crucially, crucially important on Pinterest. 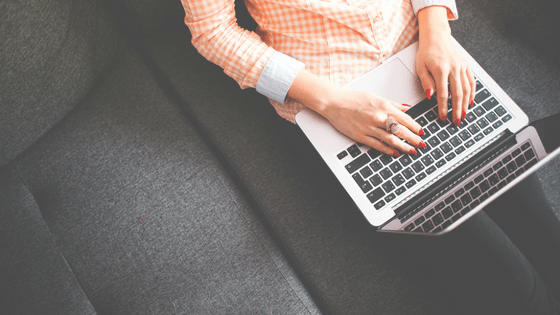 If you aren't using keywords in your profile, board titles, board descriptions, and pin descriptions–start now. And if you already are, now's a good time to go back through and spring clean your keywords. Make sure that they're all still ranking highly on Pinterest, and make sure that there aren't new ones that you should be adding. Pinterest SEO will make or break your account, so don't neglect this. 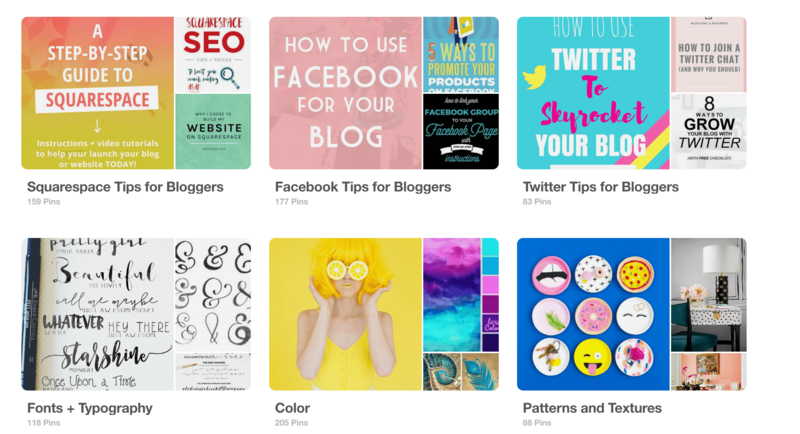 You can find keywords on Pinterest by simply going to the search bar, searching for one of your topics, and then checking out the words that pop up underneath. These are words that people are commonly searching along with your topic, so they make great keywords. How are your boards doing? Go through and look at the numbers for all of them (BoardBooster or Tailwind are good tools for this). If you've got a board that's really underperforming–or that just isn't on brand–get rid of it. Don't delete it, because you'll lose followers. But move it to “secret” or archive it and get it off your profile. You only want high-performing, on-brand boards showing up on your Pinterest profile. Also take a good look at how to layout your Pinterest boards. Are your top performing boards near the top of your profile? Are group boards all at the end? Make sure the layout of your boards makes sense. I always list my dedicated blog board (that only contains posts from my blog) first, followed by my top performing boards, and so on. I place group boards at the end. So take a look at how you lay out your Pinterest boards and see if anything should be changed. Do all of your boards have the right titles? Remember, we want keywords here, not something cute and witty. Go through and make sure that all of your board titles are straight and to the point, and include a keyword or two. It's tempting to call your food boards “Yum” and your travel boards “Wanderlust,” but that's not going to help people find your comment. Stick to simple keywords. If you're wondering how to change your board titles on Pinterest, just click the edit icon on the board, and you can edit your Pinterest board titles to your heart's content. How about your Pinterest board descriptions? Remember–keywords. Check those keywords, make sure that they all still make sense and that there aren't new ones that should be added. Look at your analytics on Tailwind. If a board is underperforming, consider changing the keywords up. You can always add new Pinterest keywords just by editing the Pinterest board description. What about your pin descriptions? Now, you can't go back through and fix the descriptions on everything you've ever pinned. Not possible. But, you can spruce it up going forward. Think about those keywords, and what your best call to action is. You want people to repin and click. Think about how to get them to do it. If you're wondering how to add Pinterest pin descriptions, the best way is to use the “alt” text field when you insert an image on WordPress. You can also use a tool like Social Warfare to set which image and which description get pinned. You might not spend a whole lot of time thinking about your Pinterest profile. But, it is a factor. Is your picture the best that it can be? And is your profile description using those keywords? Consider it. Your Pinterest profile image should probably be your face, unless you're part of a big brand. And use the few sentences given in the profile description to your advantage. If you're wondering what to put in the Pinterest profile description, just tell people what you do and how you can help them (and use some keywords). Last, but not least, you can go through and clean up your boards by hand. There's probably stuff in there that, on second thought, you wouldn't really want to pin. Horizontal pins, ugly pins, just plain bad pins. If it's been a while, they've got no repins, and they're bad pins…get them out of there. I know I'm way too fast and loose with the save button sometimes, so once in a while it helps to do a little spring cleaning. 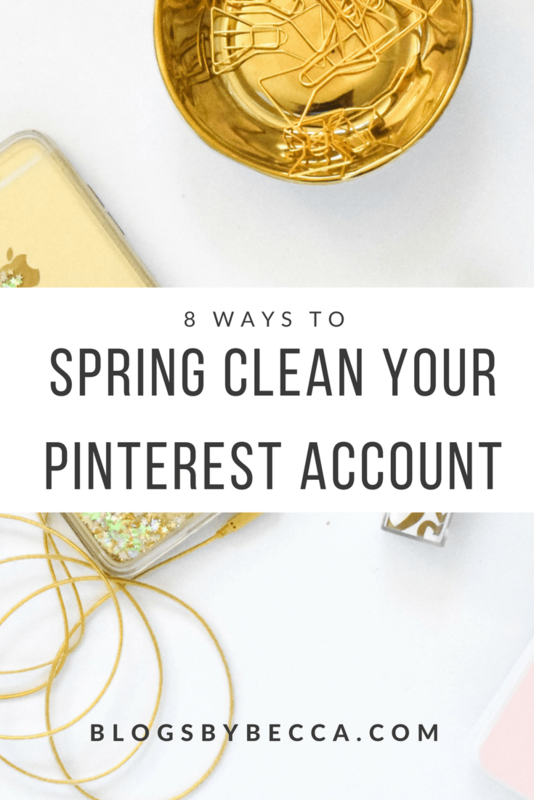 So, get out there and spring clean your Pinterest account! How are you cleaning up your Pinterest account? Let me know in the comments! Great list of things to do. It’s like you said towards the end, sometimes we just get to friendly with that “Save” button and we should go over and Spring Clean our Pinterest Boards. I am a Pinner that transitioned into a “business Pinterest” and I have gone back and spruced up my account. Thank you for sharing.